PDZ Holdings Bhd is a public listed company listed on the Kuala Lumpur Stock Exchange since 1996. The principal activity of the Company is that of an investment holding company. The Group operates as PDZ Lines. 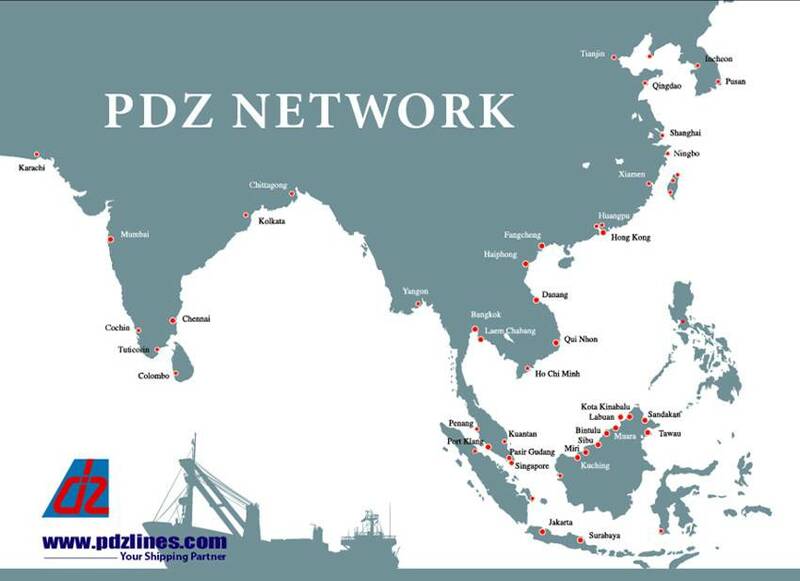 PDZ started its Liner business into Myanmar since 2001 being one of the pioneers in this container trade. At present, we are on a Joint service (slot exchange model) with Samudera Shipping Line, and established and leading Indonesian Container Line. The Yangon trade operates under the name MEX (Myanmar Express) service. Apart from operating vessels, the Group also engages into fixed slots arrangements with other liners that provide service between China main ports (Shanghai, Ningbo, Qingdao, Shekou, Hong Kong Singapore/Port Klang and vice-versa) as well as operating on NVO (Non-vessel operation) basis covering the S.E.A ports and the Indian Sub-Continent ports. In the trading areas that PDZ operates vessels, it also serves as a feeder to Main Line Operators like Maersk, CMA-CGM, OOCL, China Shipping, Hanjin, TS Line. PDZ network covers 15 countries and 40 ports.